The list of games for their Games with Gold program for the month of March has been released. Xbox Wire has the skinny on the games we can all enjoy this coming month, and they reveal that April should prove especially fruitful for gamers. Rayman Legends, Tomb Raider and Bioshock Infinite will be gracing the Games with Gold lineup for this March. 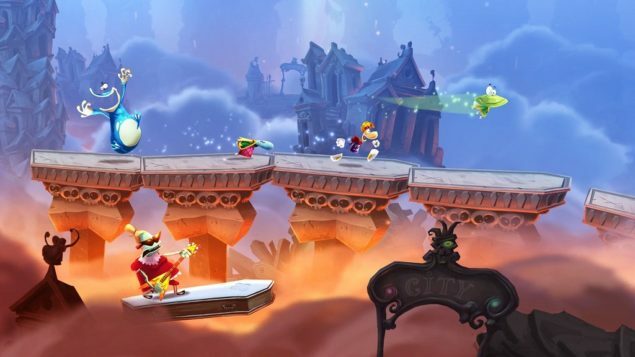 It looks like the Xbox One will be graced with a single title again, though one that’s rather enjoyable, Rayman Legends. For the Xbox 360 you’re choices are Tomb Raider from March 1st through the 31st and Bioshock Infinite from the 16th of March through the 31st. Rayman Legends (ordinary Xbox Live price $39.99) is a 3.4 GB download. Tomb Raider ($19.99) is a 6.57 GB download. BioShock Infinite ($29.99) is a 6.49 GB download. It seems as if the Xbox One is stepping up the quality of their offerings when it comes to their free Xbox Live Gold subscription games. The three aforementioned games are all generally positively reviewed and should provide a great experience. The underlying monetary value rarely actually is related to the fun one can have. But this month, it might be worth it to check out those free games. Now if they’d only adopt the same principles as the PlayStation Plus and have those games remain free until your subscription runs out. Now that would make Games with Gold that much more lucrative.